We recently came across Naturally Acai Xtra (a liquid nutritional supplement) and have been taking it for the last few days. Acai helps support healthy energy levels, a healthy cardiovascualar system, a healthy immune system and is filled with antioxidants. The acai tastes somewhat like a cross between a grape and blueberry. :) There are 16 (one ounce) servings in each bottle. Naturally Acai Xtra is one of seven new products to promote healthy lifestyles from Agrolabs Inc, who have generously offered to give away products to two Frugal and Fabulous readers!!! The Strawberry Upgrade looks great to me! Oh that sounds good. I have wanted to try the juice. A great giveaway. I think after looking over AgroLabs products I'd like to try the Peaceful Sleep. With hormonal fluctuations going on...a peaceful full night's sleep would be divine! I subscribe to your feed through MyYahoo. Thanks! Guess I'd go with the Memory one cause I don't raelly have one of those... or the pomegrante one cause it sounds tastier. I would like to try Green Envy™ Daily Detox. Mangosteen is great. I found out about it when I was recovering from a frozen shoulder. Besides the Naturally Acai Xtra, I would also like to try Peaceful Sleep! I also am a new e-mail subscriber. I think I'd try the Peaceful Sleep. Thanks!! I've become a new follower. Thanks!! I sure need one to give me some energy! Looks tasty! I'd also like to try the Naturally Pomegranate. The product that I might like to try would be the Superberry Upgrade w/ Resveratrol! I need all the anti-aging benefits I can get! I tweeted your giveaway! HERE! Without a doubt. 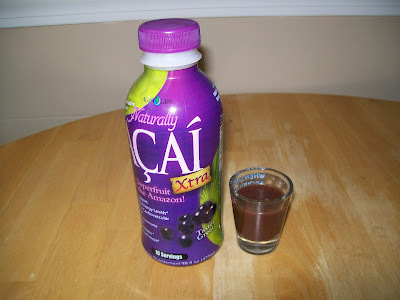 Açaí is the best.